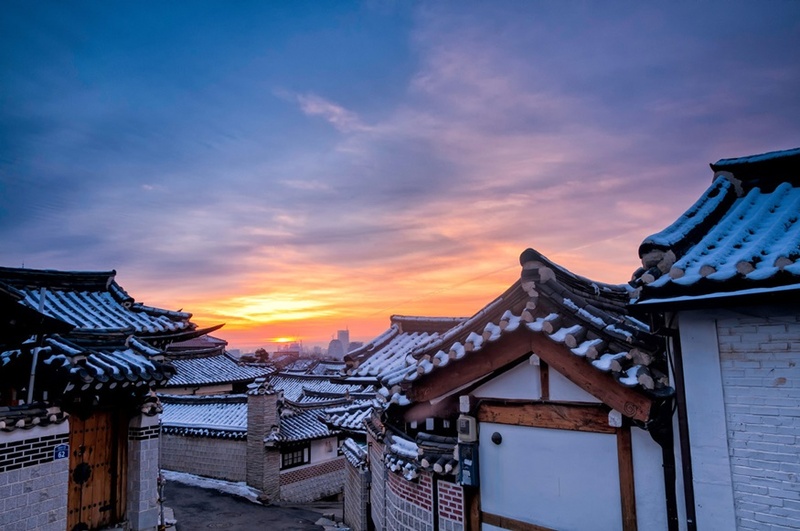 Surrounded by Gyeongbokgung Palace, Changdeokgung Palace and Jongmyo Shrine, Bukchon Hanok Village is home to hundreds of traditional houses, called hanok, that date back to the Joseon Dynasty. The name Bukchon, which literally translates to “northern village,” came about as the neighborhood lies north of two significant Seoul landmarks, Cheonggyecheon Stream and Jongno. Today, many of these hanoks operate as cultural centers, guesthouses, restaurants and tea houses, providing visitors with an opportunity to experience, learn and immerse themselves in traditional Korean culture. © corejeju.com 2017. All rights reserved.